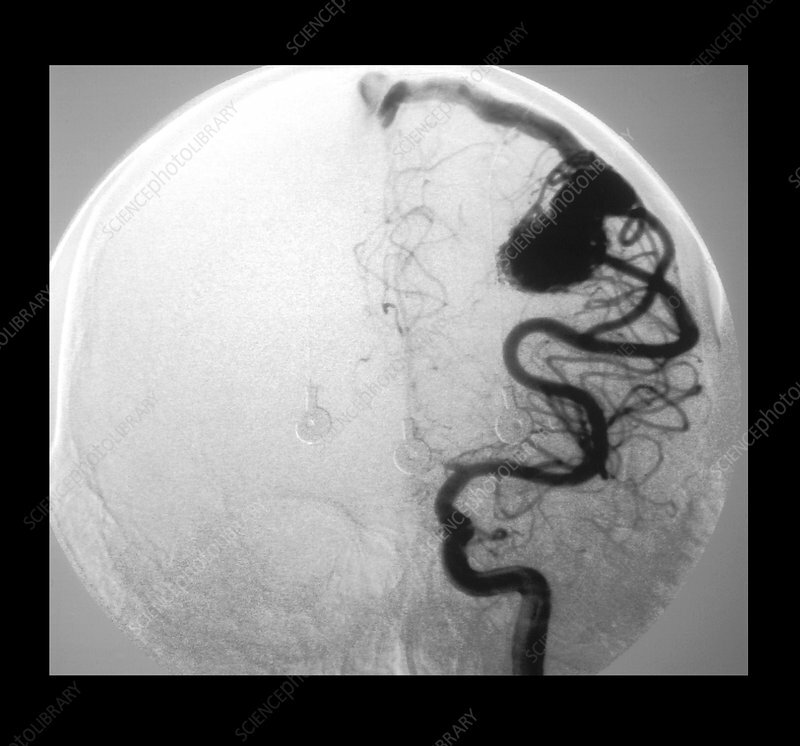 This frontal view from a cerebral angiogram shows the typical appearance of a high-flow brain arterial venous malformation (AVM). There are enlarged branches of the middle cerebral artery which provide arterial supply to the AVM. The nidus of the AVM is clearly seen between the arterial feeders and the draining veins.